Barbara Ann Maughan, age 76, our beloved wife, mother, and grandmother passed away unexpectedly on July 27, 2018 at her home in Sandy, Utah. Born on May 15, 1942 in Price, Utah, she was the only child of George and Mary Ricci Pizza. Barbara married Merrill Maughan on September 29th, 1963. Barbara is survived by her husband, Merrill Maughan, daughter, Marianne Maughan-Pritchett, and sons Michael and his wife, Denita, of Bakersfield, CA, and Marc and his wife, Grayson, of Raleigh, NC, and son-in-law, Tom Pritchett. She is also survived by her beautiful grandchildren, Talese, Taryn, Tavia, Mikaela, Maddox, Adelia, and Miles. She was preceded in her death by her parents, George and Mary Pizza. Barbara taught Home Economics for six years in the Granite School District. She then owned her true professional path as a devoted mother. She had a special place in her heart for her children and grandchildren. Her fondest moments were watching them perform in all pursuits. Barbara had a heart of gold and was kind and loving to all who knew her. She always set her own needs aside to make sure all of her loved ones’ needs were met. She had a heart for selflessness and service, and her volunteer history is extensive. She touched many lives through various organizations. She served on committees representing parent teacher associations, Babe Ruth baseball leagues, and Little League football. 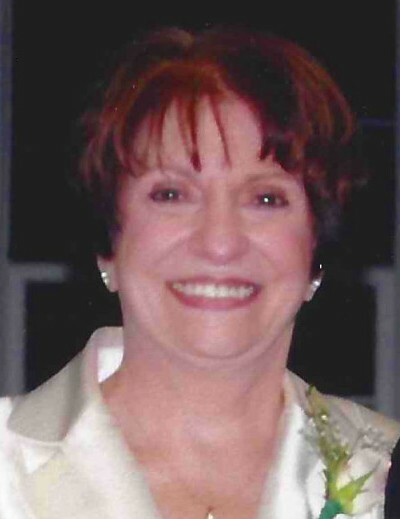 Barbara was a devoted Catholic and was passionate about her involvement with Saint Thomas More Parish. Barbara was one of the original members of Saint Thomas More, serving in many capacities. Over the years, she led a support group that took food to the sick and provided transportation to the elderly. She was chairman of the prayer chain group, was in charge of funeral receptions, co-chairman of a bereavement support group, and took communion to the sick. She was a Eucharistic Minister, a member of the teen ministry, and served on the social justice and social committees. As a member and past “Woman of the Year” for the Ladies of Saint Thomas More, Barbara held the office of secretary and was the co-chairman of the Bake Sale, sponsored by the Ladies at the Days of Yore Festival. Barbara was also a wedding coordinator for the parish for many years. Finally, Barbara was known to seven grandchildren as “Mimi.” Mimi held a special place in their hearts and was more than a grandmother. They loved her beyond words. Mimi devoted her life to her grandchildren. She always shared, “remember, it’s not a goodbye, it’s a ‘see you later’.” As she ascends into heaven, her grandchildren are comforted by these words knowing they will see her again one day. Services will be held at Saint Thomas More Catholic Church at 3015 E. Creek Road on Wednesday, August 1st at 10:30 a.m.